The Top 5 Best 22 Long Rifles - Which One To Get? Are you looking for the best 22 rifles on the market? Did you know: ﻿The .22 is one of the most purchased rifles and ammunition in the United States. There are many reasons for this such as the overall low cost, the ease of use and maintenance, and the practicality. 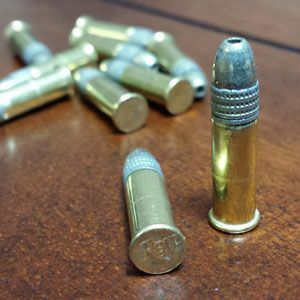 For most small game and target practice, the .22 rifle is hard to beat. The problem that most people run into is which .22 rifle should they buy? Quick searches will often turn into being bogged down with fifty tabs open for various reviews of tons of rifles. There are hundreds of variations of the .22 rifle, each with pros and cons to that specific design. We will make the near impossible task of picking a .22 rifle much easier for you in this article by breaking down the best 22's for several different categories. By doing this you can decide what characteristic you feel is most important for your firearm and quickly find the ultimate winner. And luckily, it appears the production of .22 ammunition is finally catching back up to the demand so you should have no problem taking your new firearm out into the field! Keep in mind that it also makes sense to get a 22 ﻿pistol so that you have common calibers. Don't forget to keep your firearms clean and oiled to make sure they last a long time. One of the most important qualities potential buyers look for in a rifle is the accuracy and range. Now, obviously a large determinant of accuracy will be the skill of the marksman, but we made our decision on the advice of professionals. We also take into account the rifle's accuracy and range along with its versatility. 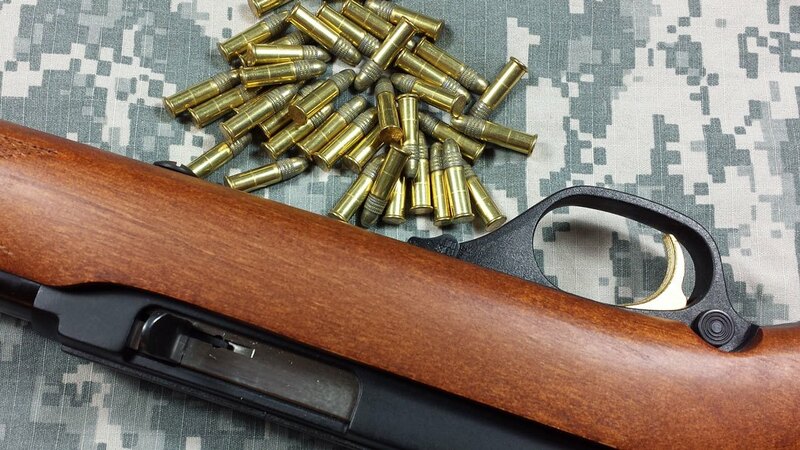 There are some great .22 rifles out there that are meant only for bench rest shooting for competitions and not for much else, so we removed them from our list. Professional marksmen have boasted that this firearm is able to shoot 1-inch patterns at 100+ yards, which makes it the most accurate 22 rifle. An absolutely astounding feat! This model was designed with accuracy and range in mind. This 22 is bolt action and sports a 28.625 inch long barrel that creates its increased accuracy. The CZ 455 is a newer model based on the classic CZ 452 that is well known. The CZ 455 Ultra Lux has a magazine capacity of 10, which is lower than most .22 rifles, but with its accuracy, 10 shots is all you need. Pair this 22 with a decent scope and you have a firearm that will produce close patterns at great distances consistently. Most 22 caliber rifles are near unbeatable when it comes to handling vermin or small game. The standard for hunting small game are .22 rifles that can handle .22 LR ammo. Notice that .22 LR stands for 22 long rifle. Here we will look at our pick for the best .22 LR rifle for hunting purposes. The CZ Varmint model stood out to us as a great rifle for small game for several reasons. The extreme accuracy and range of this gun is ideal for hunting small game. The rifle sports a 20.5 inch barrel and uses a removable 5 cartridge magazine. The rifle weighs in at 7 pounds, but the sturdiness of it is ideal for taking it out into the field. The bolt action also provides more reliability than most semi automatics and is important to us for a gun to be used in the wild. If you mount a 4x to 8x scope you will have a formidable firearm to find success in any small game situation. Oh, it’s also one of the most beautiful .22 rifles we have seen. Look good, feel good, shoot good, right? If you want something a little meaner, then consider our write-up on the top varmint rifles. Firearm owners have a need to customize their weapons to suit their specific needs and manufactures keep this in mind. The .22 provides numerous opportunities for upgrades and customization of the stock firearm. Here we discuss the best .22 rifle in terms of customization potential. This weapon boasts more potential for customization than any other rifle except the AR-15 and Ruger was aware of this in their design. Why this rifle gets our top spot is because of the ease for modifications and the amount and variety of parts on the market. The 10/22 is an amazing Ruger 22 rifle. There are many companies that produce custom parts for the 10-22. Did I mention that this is probably the most popular rimfire rifle in America? From the trigger to the barrel, stock, sights, and magazine type and size you can customize this firearm to fit your personal needs. A vast majority of hunters and marksman remember their first rifle fondly. Those memories are usually of a .22 rifle given on their birthdays or Christmas morning. 22s are excellent firearms for future outdoorsman because of the low recoil, weight, and affordability. Here we discuss our choice for best 22lr rifle for beginners. For a young marksman, Browning’s BL-22 Micro Midas is ideal. Similar models are also available for beginners who are not children and need a larger firearm. The Micro Midas weighs in at a little less than five pounds making handling easy for the young sportsman. Its total length is just over 31 inches with a short length of pull at 12 inches, perfect for the young ones. With a 16.25 inch barrel to increase accuracy, it is great for building confidence for the beginner marksman. A lot goes into picking the right .22 rifle for your particular situation. We looked at several different categories, but what we want to do here is choose our overall top pick for a .22 rifle. We took into account the previous categories and cost efficiency. What .22 will give you the most bang for your buck? There is a reason this model has been in production since 1960. This .22 has excellent accuracy right out of the box that can be attributed to the 16 microgrooves within the barrel. This model is semi-automatic and holds 14 .22 LR cartridges and is extremely reliable. It is excellent for plinking or taking it out to the woods for small game. The major drawback of this rifle is there is not a lot of room for customization, but that’s okay because what you get right out of the box is an excellent product. What really sets it apart is the amount you will have to pay for the quality and durability this rifle provides. It is the perfect 22 survival rifle. Most major retailers have the Model 60 priced for under $200 dollars. You will not find a rifle with the qualities of the Marlin Model 60 for that deal anywhere. This price point makes it a superb choice for a cheap 22 rifle. An important point to take away from this article is the sheer amount of excellent .22 rifles that are out on the market. Each category and rifle we picked can, and would, be argued endlessly by other rifle owners. Hopefully, we have provided a good starting point for those looking to purchase a .22 and provided several other alternatives. What you will find is, over time, you will develop your own personal preferences. When you get your rifle, check out our guide on the best way to practice your shooting. Don't forget to keep your firearms safe and secure with some hidden storage options. There are many great choices available for your home. What is your favorite .22 rifle? Let us know in the comments below.